Helambu, to be found 75km northern east part of Kathmandu valley is wonderfully serene and unruffled.And, trek to this region offers eye-catching mountain views and will permit you walk around Sherpa way of life. This trek is renowned for its ancient Buddhist monasteries. You will notice the people of Helambu area are welcoming and kind. Similarly, to the north of Helambu we will find the area is bounded by the Jugal Himalayan ranges and Langtang, so the inhabitants of this area is identified as ‘Yolmo wa’ or the people from the secured by the peaks. Furthermore, the language used by people here is unusual than the one used in Solukhumbu section even if both the languages are started off from Tibetan. The way of the Helambu moves up to the Shivapuri crest where we can notice the views of the central Himalayas. Following the ridge the walk moves north to reach Thare Pati ahead of turning east to get to Melamchi village and Tarke Gyang, the core villages of this region. You will pass crossing to Helambu by taking trail of the high elevation going by at Lauribina La lying at 4610m or Ganja La at 5106m. Besides, a various choice of dazzling lush valleys, foggy rhododendron jungles and far away standpoint of snow-white peaks will turn this Helambu one of the ideal short treks. There are usual tea houses. 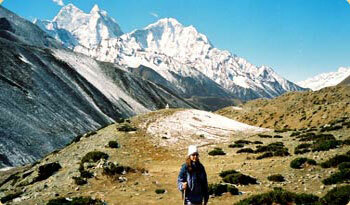 Boundless Himalaya Trekking and Expeditions is puts forward Helambu Trek along with the distinctive service. The trek is intended to everybody from proficient climber to an inexpert adventure enthusiast. Also, you will know the Yolmo customs of high crest villages, be in awe at vistas of fabulous high mountain.